In our daily life,there are so many waste that cannot be fully used,which also causes environmental problems in result of the traditional treatment:landfill and incineration.So what can we do to save our city from these pollution?PET Bottle Recycling Line System can do the job. LianGuan,on the base of our 30 years city waste recycling esperience,have developed a complete recycling material to composite pallet preoduction system,which use the recycle material to macke composite plastic pallets. 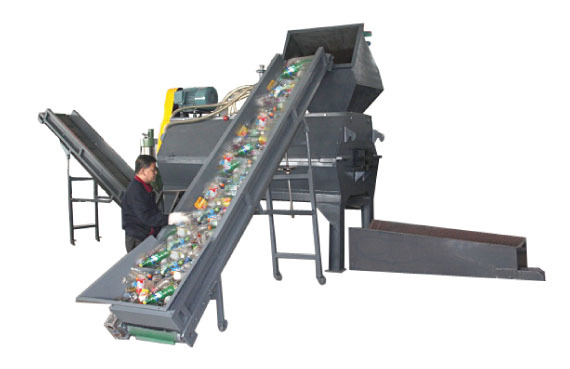 PET Bottle Recycling machines can effectively separate the bottles caps,labels and various specifications of bottles by our sorting processing technology,specially design for loose bottles,baled bottles and the bottles with paper labels.We can supply pet washing line,pet bottle washing line,pet bottle recycling line,waste bottle washing line,waste bottle recycling line.